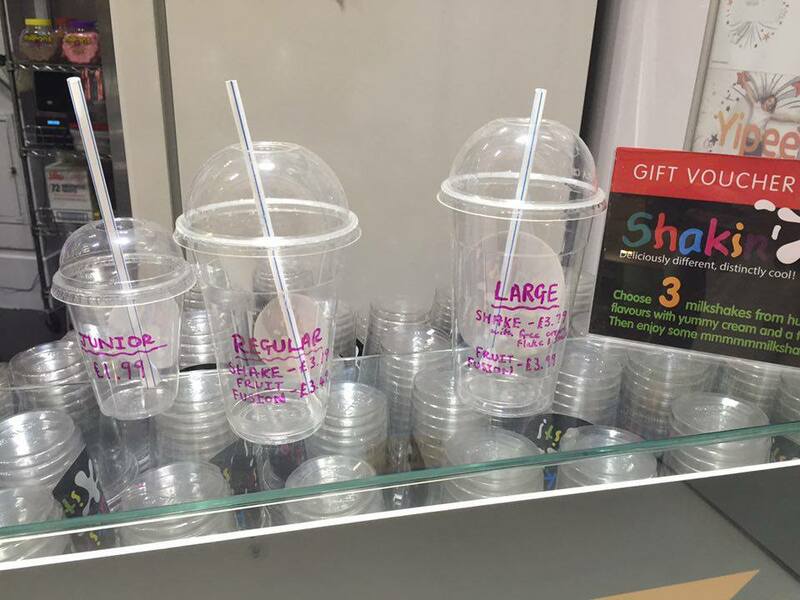 Shakin' It - Intu, Derby. 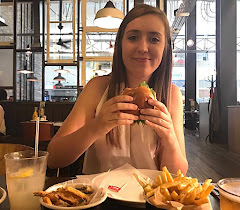 I haven't been to Shakin' it for ages! So when I recently won a Twitter contest that they held, I was excited to claim my free shake! 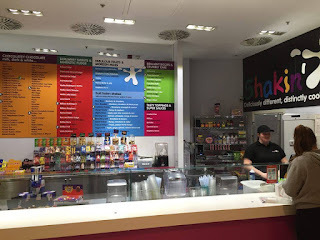 Shakin' It is located within Derby's Intu shopping centre on the ground floor, towards the back near Costa Coffee. You can't miss it really, it's the one with the clashing bright neon colours everywhere. Basically, it's a milkshake bar where you can personalise a shake to your own specific taste. As I approached, there was a short queue (usually it's a lot longer) and I waited my turn. I was greeted by one of the 'shakeologists' who asked me which flavour I would like to have. There are so many choices. I mean, just look at this list, there are hundreds! You can pretty much get any kind of chocolate, sweets, biscuits and cakes. The list goes on. 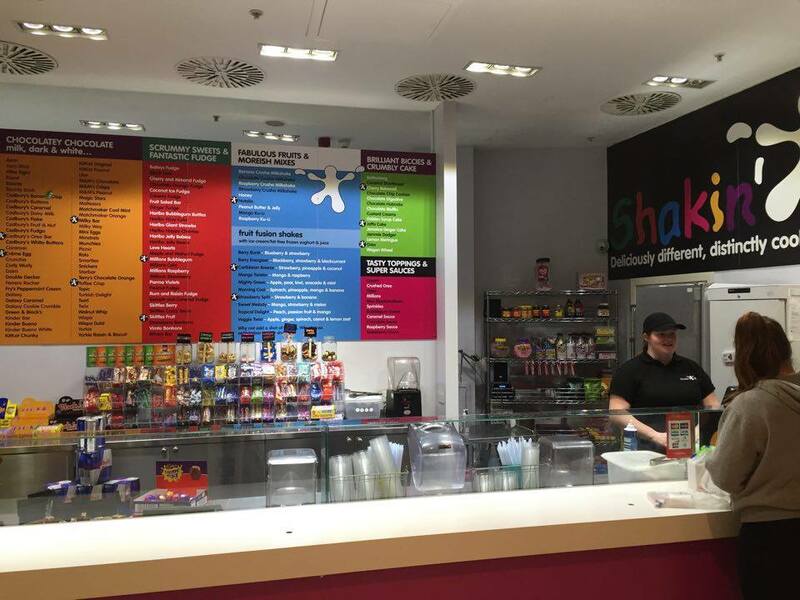 As standard, the shakes are made with milk and ice cream along with a whole bar of your choice of flavour. As I chose Cadbury's Creme Egg, I got a whole one of those. 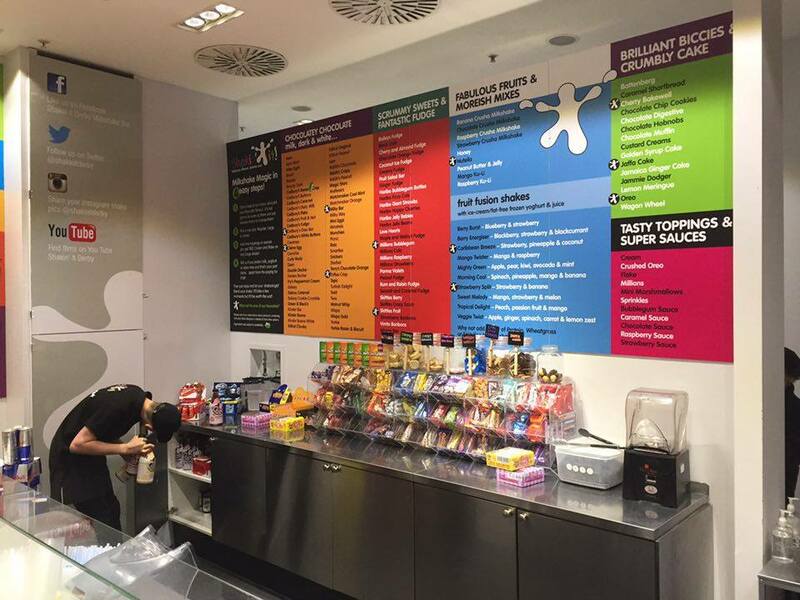 Don't worry, if you're not keen on the icecream, you can have low fat yoghurt or fruit shakes instead. There really is something for everyone. After choosing a flavour, you have a choice of sizes too, ranging from junior for the kiddies up to large for the people with a major sweet tooth. Once you're sorted with a flavour and size, it's all whizzed together in the blender until all has been mixed up. A thick, creamy, chocolatey, gooey (from the creme egg fondant) drink that tastes absolutely amazing. I love the Creme Egg flavour, I have it every time that I visit. I have also had mini egg and boost bar flavours previously. These shakes are really filling too, I actually had this for my lunch! Not the healthiest, but it was so good and kept me going until I next ate later that evening. As you get to the end of the shake, you're left with the bigger chunks of chocolate that couldn't fit through the straw. It's like saving the best 'til last. If you're feeling extra hungry, you can add topping to your shake too. 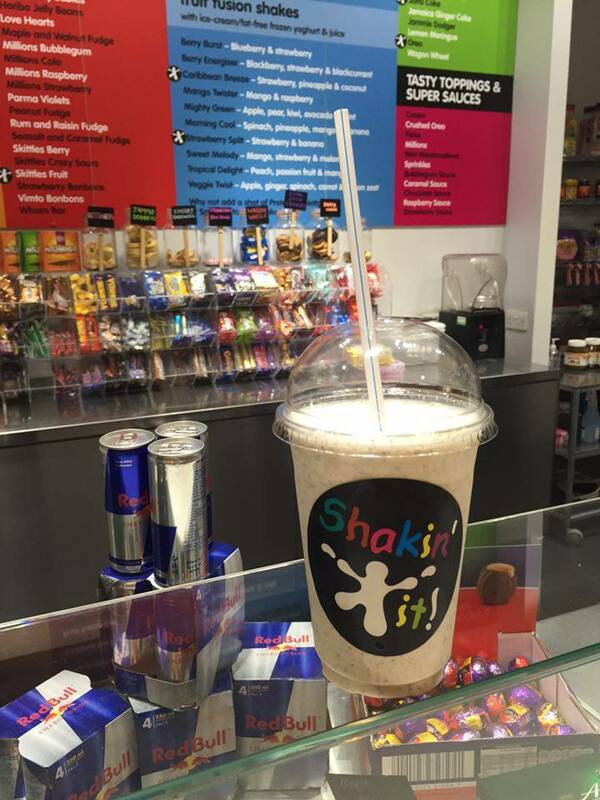 Large shakes come with whipped cream, flake and sauce, but you can chose to add whatever you like to any of the sizes. If you're off to Derby to do some shopping any time soon, you must stop off here! It also makes a great dessert if you've been to one of the restaurants nearby but didn't fancy one at the time. Check out their website: www.shakinit.co.uk & let me know what flavour you would chose!